Crackdown 3 finally arrives this week, and by most accounts, its much ballyhooed cloud-powered destructible Wrecking Zone multiplayer mode is pretty fun. Not the revolution it was once sold as, but entertaining enough. Unfortunately, it seems as though Wrecking Zone comes with a rather bizarre limitation – you can’t play the mode with friends. Certainly unexpected considering Wrecking Zone is a 5v5 team-based affair. 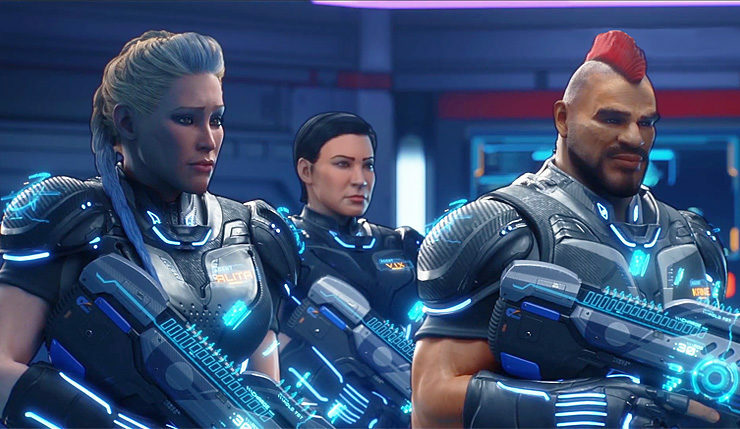 Players participating in the Crackdown 3 technical test were the first to notice the lack of friend party support, and a Microsoft rep posting on the Crackdown 3 Discord channel confirmed “Wrecking Zone does not support parties and will not at launch.” This wasn’t a case of some random community coordinator getting confused…Microsoft Studios creative director Joe Staten further confirmed it on Twitter. So yeah, if you want to play with people you actually know, I guess you’re restricted to Crackdown 3’s co-op campaign mode. As for why Wrecking Zone lacks friend support…I have no idea. Perhaps it has something to with the mode being powered by the cloud? That doesn’t seem like it should be an issue, but I’m no cloud computing expert. Haven’t been keeping up with Crackdown 3? You can check out the game’s launch trailers and achievements here, and a rundown of key features, below.